FINALLY! A contest that requires you to watch all the TV shows and movies you want to win! How’s that for contest mechanics? (SPOT.ph) First things first: happy one-year anniv in the Philippines, iflix! iflix, Southeast Asia's leading Internet TV service, is officially a year old here—which means that, for a year, thousands of Pinoys have been binge-watching their old favorites and new discoveries wherever, whenever. From foreign shows and movies (The Big Bang Theory and Friends, anyone?) to local favorites like My Paranormal Romance and Encantadia, iflix's catalog is pretty stacked. It's safe to say the service has influenced how Pinoys use up their screen time. 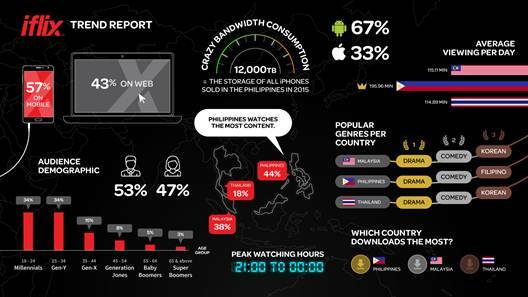 Just look at how much more we Pinoys watch compared to our ASEAN neighbors! New Shows, Coming In Hot! If you’re looking for a major laugh trip, iflix is rolling out all the seasons of 30 Rock, House, and if you can’t resist LOL-ing over reality stars’ craziness, you’ll love seeing how the Kardashian “klan” started out, since iflix is bringing in the first four seasons of Keeping Up With the Kardashians. Dig superhero shows? iflix is bringing in the second season of Flash, the fourth season of Arrow, and the second season of Gotham. Not sure what to watch? Give iflix’s exclusive series a go. Mr. Robot has been getting great reviews, plus Hunters, Bosch, and The Magicians are all coming in for their first season. Feeling nostalgic? Relive your childhood by watching all (yes, ALL) the episodes of Daimos and Voltes V.
New Movies, Up For Grabs! Go Binge, or Go Home! 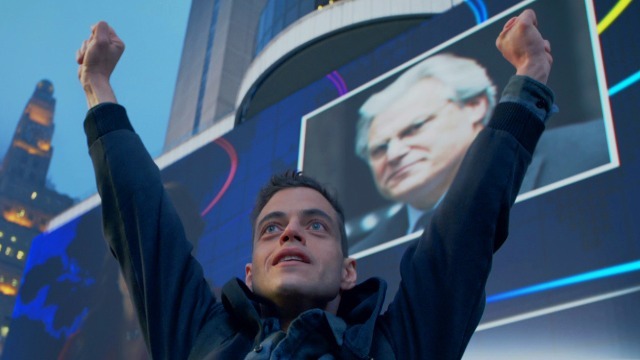 What makes binge watching even better? Winning something for doing it! Consider yourself a serious binge watcher? Well, you can "Go Binge or Go Home" with awesome prizes while watching your favorites on iflix! 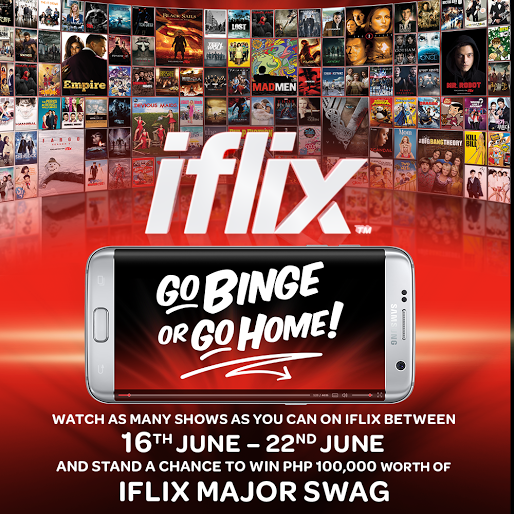 The top 4 users with the most number of minutes viewing anything they want on iflix from June 16 to 22 will get the chance to win the "iflix Major Swag" home entertainment showcase, which includes a Samsung 40” UHD TV, a Samsung Galaxy S7 Edge, Samsung VR, a Google Chromecast, and a ton of iflix merchandise. Click here for full contest details and mechanics! Not yet an iflix user? You might want to change that! Not only is there a free 30-day trial, but subscription is cheaper than your specialty coffee, or a ticket to the movies—it’s only P129 a month! If watching your favorite shows and movies weren’t enough reason for you to get on board before, that Major Swag that iflix is throwing at you should be! To learn more about iflix, its available shows and movies, and the "Go Binge or Go Home" promo, click here or watch this video.